The public preview of the long-awaited High Availability support. The “Additional Logging” setting of the gateway will now include the Mashup engine traces. The gateway will now automatically fall back to communicating through Azure Service Bus using HTTPS if direct TCP fails. The gateway now includes the November version of the Mashup engine. You can download this new version from the link below and continue reading for more details about each enhancement. This month’s gateway update introduces the public preview of the previously announced High Availability support. High Availability for the on-premises data gateway provides gateway administrators a way to group multiple gateway instances together thus eliminating the single point of failure and overall providing a more robust and scalable infrastructure for the on-premises data gateway. 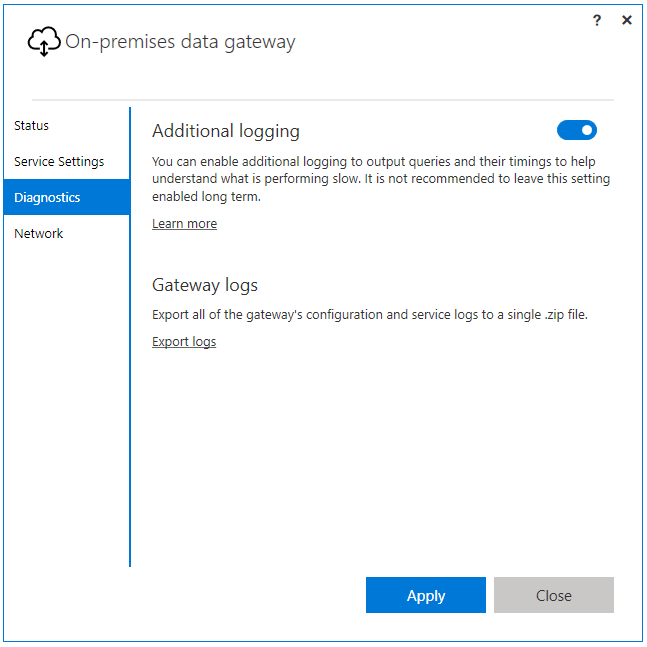 As part of the on-premises data gateway installation, users can specify whether the gateway instance should be added to an existing cluster or a new one. Older gateways are exposed in their own clusters, so users can associate new gateway instances with the existing ones or set up new clusters. Note that in order to add a new gateway instance to an existing cluster, users have to provide the recovery key for the primary gateway of the cluster they’re trying to join the new gateway. The primary gateway minimum version must be the August 2017 update (which is version “13.0.2248.0”). Once more than one gateway instances are registered within a single cluster, all gateway management operations (such as adding a data source or granting users permissions to use or manage a gateway) will be applied at the cluster level. 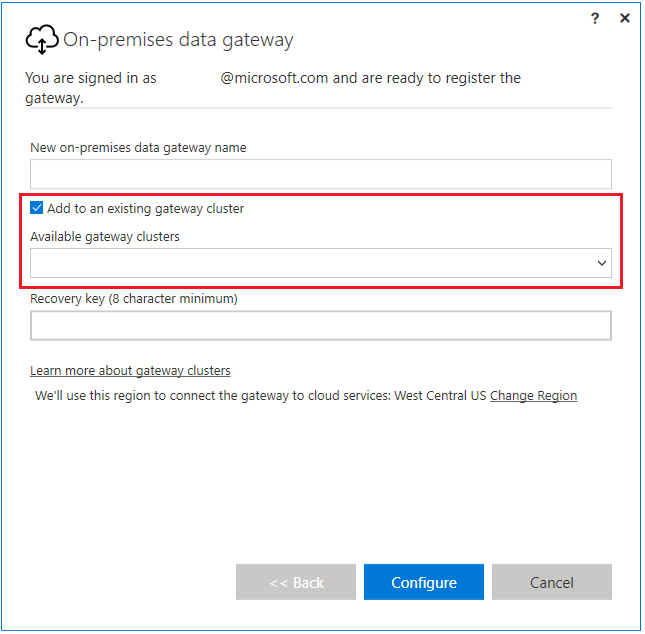 When accessing the “Manage Gateways” page in PowerBI.com, users will see the list of registered clusters (or standalone gateways), but not the list of gateway instances within a given cluster. New requests for scheduled refresh or DirectQuery operations will be routed to the primary instance in the cluster if this instance is online; if not available, the request will be routed to another instance registered in the cluster. Retrieve the list of gateway instances registered in a cluster, as well as their online/offline status. 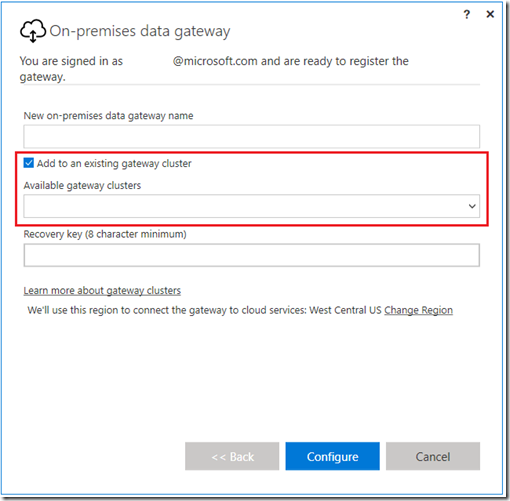 Modify the enable/disable status for a gateway instance within a cluster, or other gateway properties. To learn more about the new High Availability capabilities in the gateway, please refer to our documentation page here. Try it out and let us know below in the comments if you have any comments or questions. The Additional Logging settings in the Diagnostics tab of the gateway will now allow the Mashup engine traces to be included in the logs. This could help with investigating and troubleshooting connectivity issues. 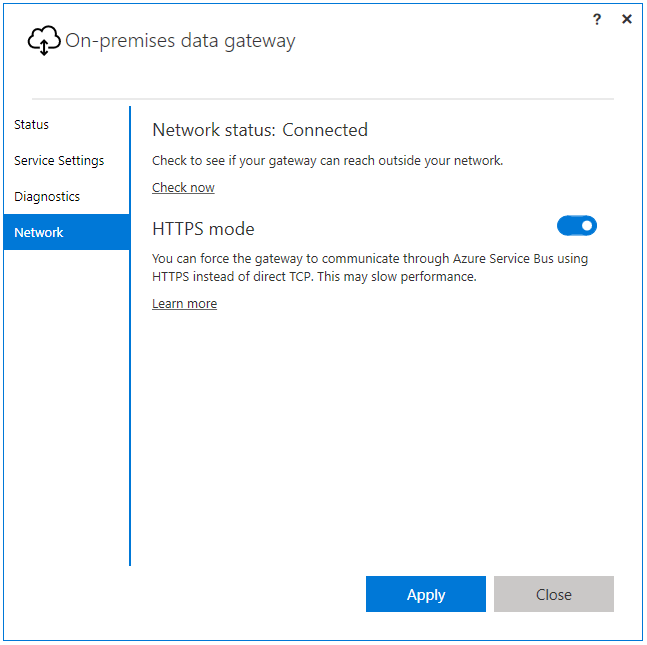 Since the March 2017 gateway update, users were able to choose to force the gateway to communicate with Azure Service Bus using HTTPS instead of direct TCP (the latter is the default). With this month’s update, the gateway will automatically turn on this setting if direct TCP fails for any reason while the gateway is being configured for the first time. Last but not least, this gateway update includes the same version of the Mashup engine as the Power BI Desktop update released earlier this month. This will ensure that the reports that you publish to the Power BI Service and refresh via the gateway will go through the same query execution logic/runtime as in the latest Power BI Desktop version. Note that there are some Beta connectors (such as Spark) still not supported outside of Power BI Desktop. Please refer to specific connector documentation for more details or contact us if you have any questions. Iscriviti qui per ricevere le ultime novità su Power BI direttamente nella Posta in arrivo. Facendo clic su Iscriviti subito, comunichi a Microsoft la tua adesione al programma newsletter di Power BI, che ti proporrà notizie, sondaggi, suggerimenti, consigli e altre informazioni esclusive per sfruttare tutto il potenziale di Power BI. Potrai annullare l'iscrizione in qualsiasi momento. Informativa sulla privacy Microsoft.